Austin's got a lot to explore. Only in a city so collectively aware of their identity, could the proliferation of graffiti be so widely accepted and adored. Well, Austin’s that city. And if you think graffiti is something that kids do to rebel, you’ve never opened your eyes in the Texas capitol. From images of hope and love, to pride in their hometown, these murals are anything but a nuisance. 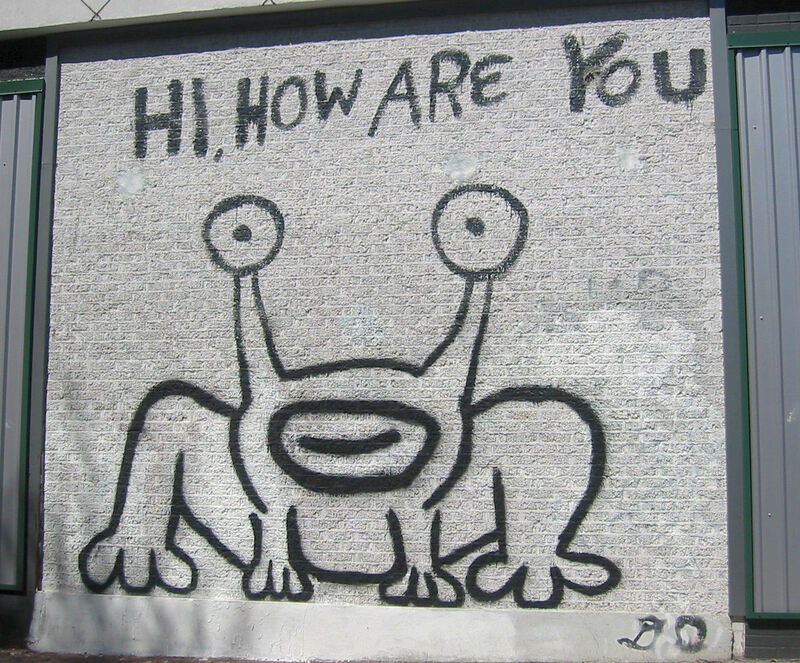 Painted by musician Daniel Johnston more than 20 years ago, the iconic bug-eyed cartoon bullfrog named Jeremiah the Innocent made his debut on the album cover of Johnston’s 1983 release, Hi, How Are You: The Unfinished Album. This commissioned piece has persisted through a change in building ownership and true to its musical roots, “Hi, How Are You” is the stuff of pop culture—courtesy of a musician by the name of Kurt Cobain. 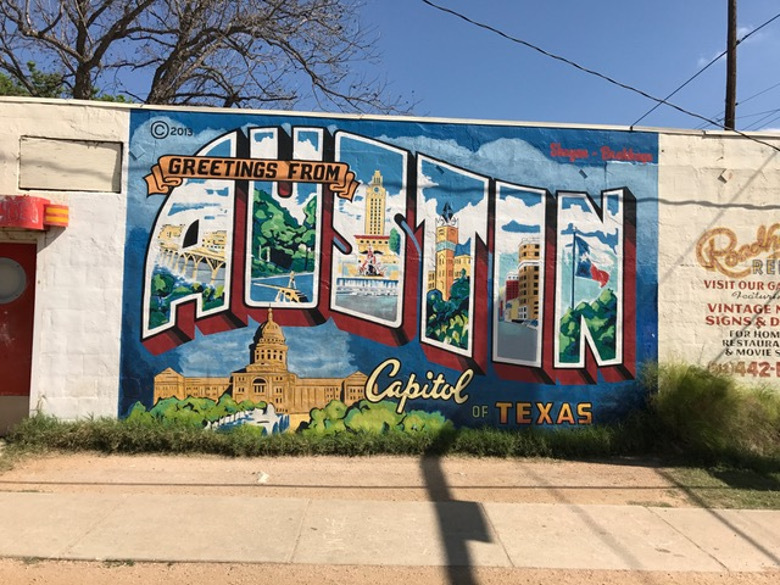 Recently refurbished, this mural on the side of Roadside Relics is the 1998 recreation of an iconic Austin postcard by artist and owner Todd Sanders and his friend Rory Skagen. Loved by Austinites and tourists alike. After noticing the diminishing state of the piece, locals pitched in to raise money for a full restoration. Now future generations can continue to enjoy this iconic mural. 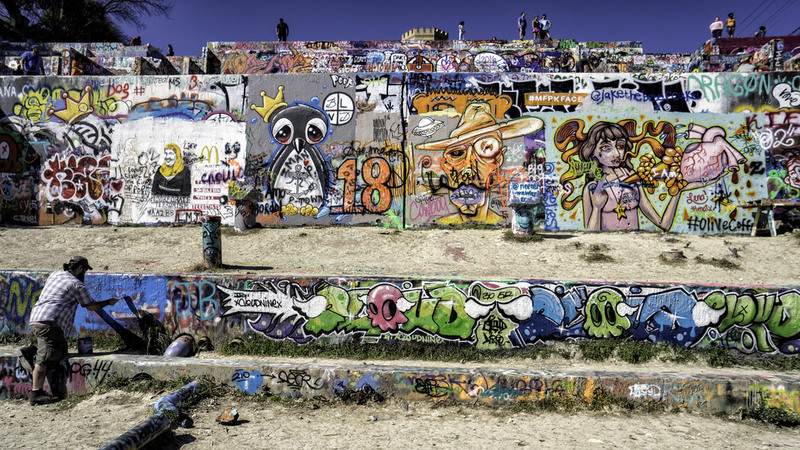 Austin’s most Instagrammed mural is the place for friends, families, and lovers to share a graffiti-gram. However, the simple heartfelt message was originally a more personal sentiment from Amy Cook to Liz Lambert, her partner and owner of Jo’s Hot Coffee. Locals were devastated when the love letter was vandalized in 2011. Amy and Liz quickly revived the wall and Austin’s love affair with this sweet spot. 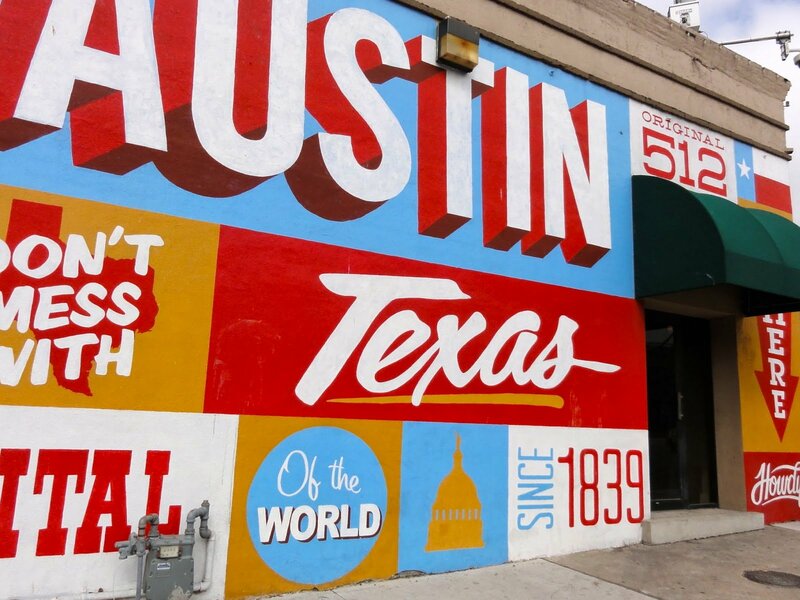 Welcoming visitors to Austin’s famous 6th street entertainment district, the bold typography and color blocking of this massive mural are a fitting entrée to the eclectic performers that grace its stages. Designed and painted by Sanctuary Printshop in 2012 as an homage to Austin as the live music capital of the world. 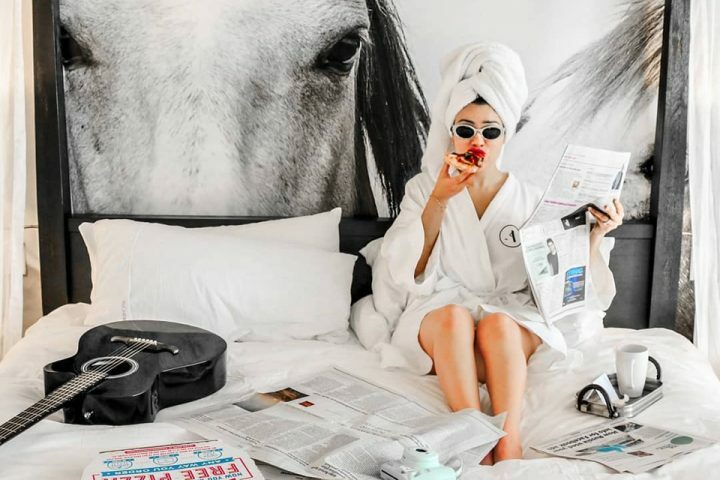 Dreaming of a bulls-eye backdrop? What if it came with scene-stealing cupcakes? Welcome to Smile! 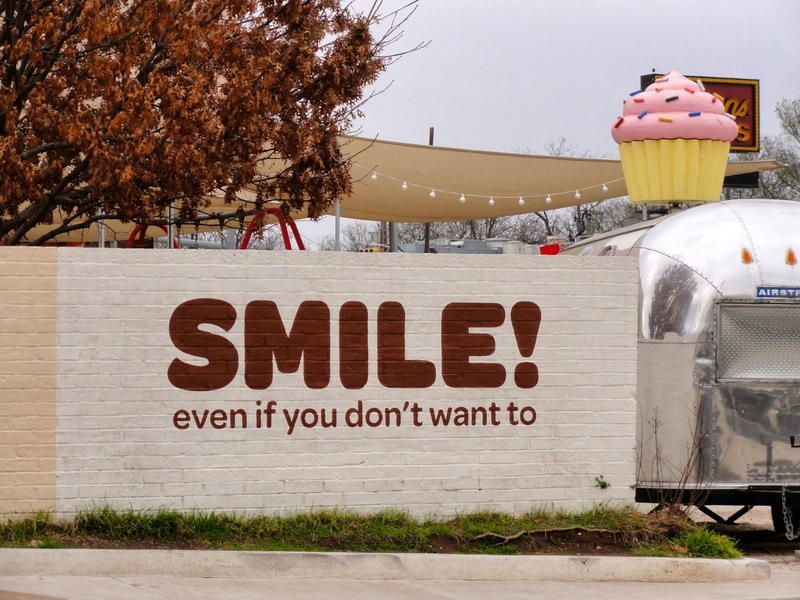 even if you don’t want to, an uplifting mural sprayed only steps from the famous Hey, Cupcake food trailer on South Congress. 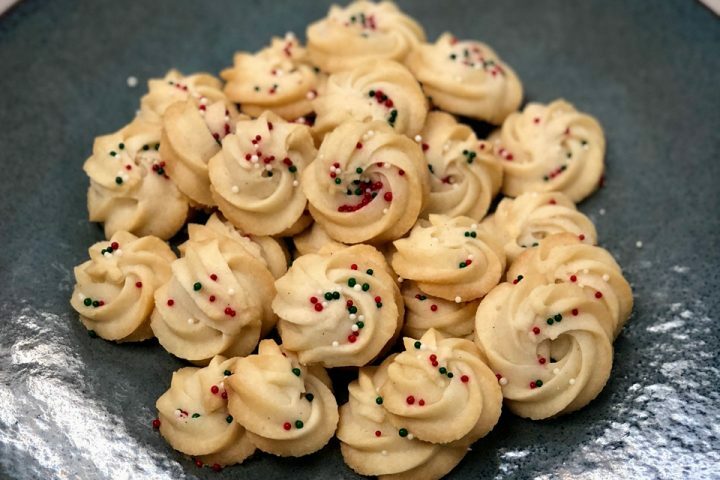 Take it from us, the perfect backdrop and tasty treats make for a picture-perfect afternoon that’ll have you grinning ear to ear. 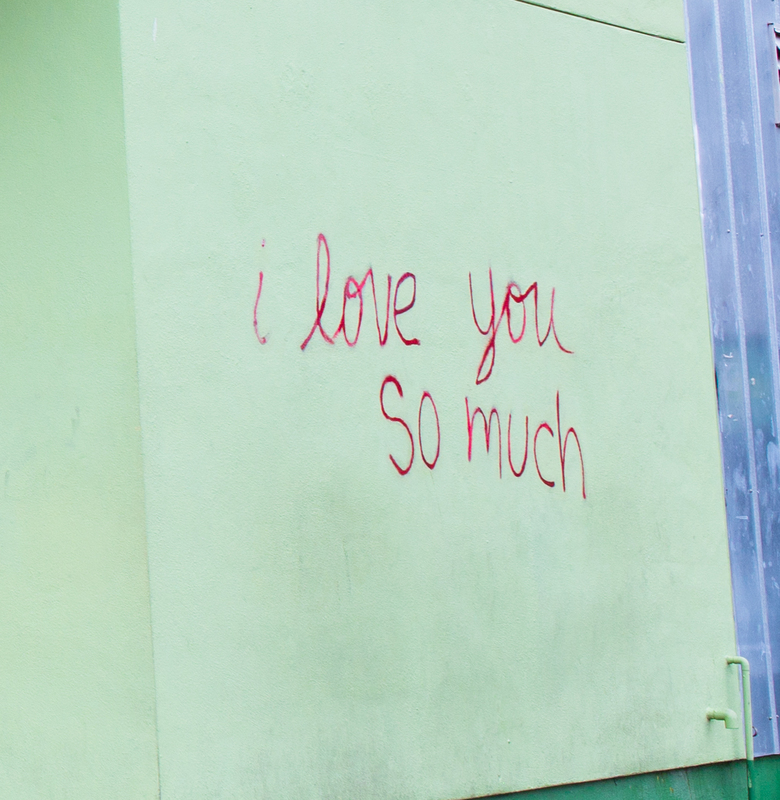 Spreading love across Austin is what the United Way is all about. Partnering with Creative Suitcases and former Creative Director John Rockwell, they dreamed up a mural that would explore the theme of bringing people together. Growing up in Wisconsin, Rockwell spent summers working at a dairy farm. 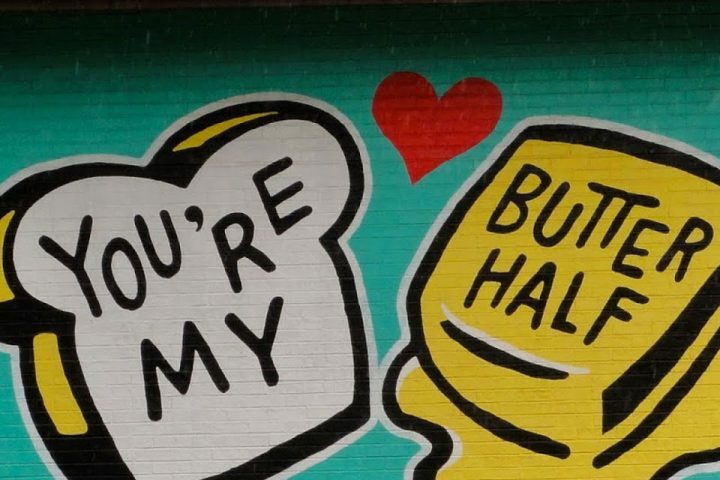 His love of all things butter led him to the inspiration for the mural. 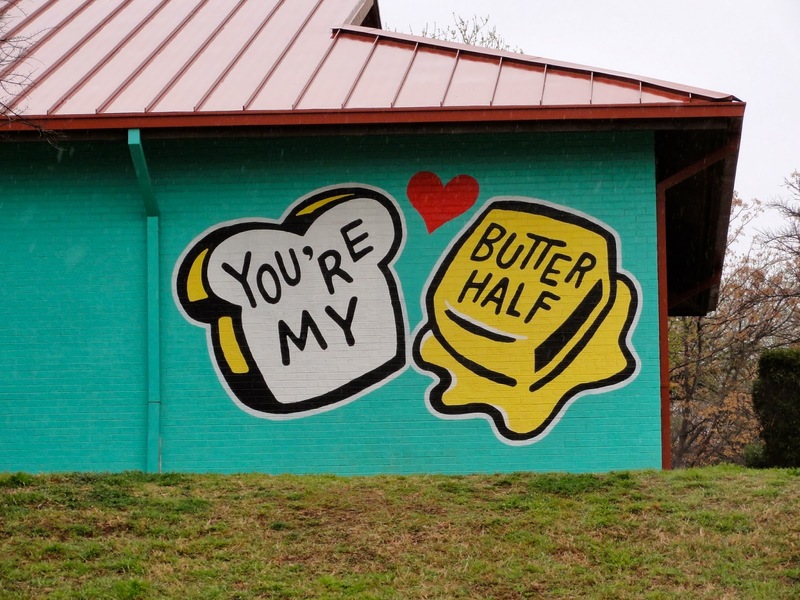 Since creating Butter Half it has become a winsome spot for couples from all over. Immortalized in 1,000’s of photos the now iconic spot serves as a reminder about the uniting power of art. 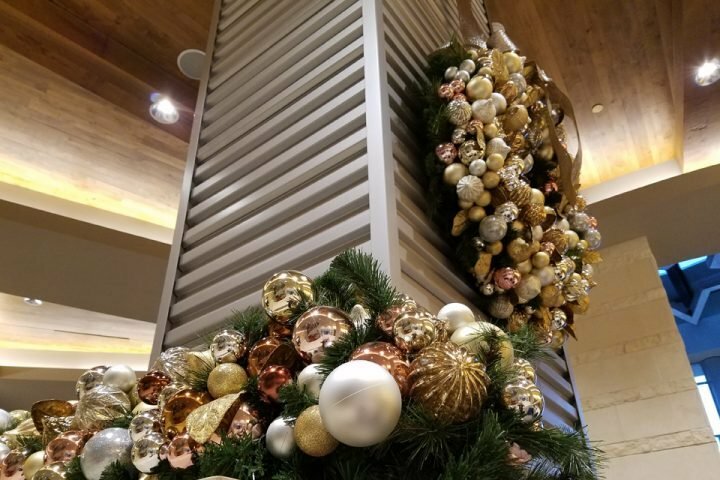 If you are looking to leave your own mark on the city, this is your place. Using the remains of an abandoned construction project, famed street artist Shepard Fairey kicked things off with several large pieces – followed by muralists and street artists who have painted every inch of the three-story lot. The beauty is in the evolution, new art is being layered over the old in an ever changing, ever evolving, art installation. You can even leave your own mark for a fee.